Learn how our digital solutions can help you grow! We are a full service digital marketing agency offering Website Design, Search Engine Optimization, pay-per-click Search Engine Marketing, E-Mail Marketing, and Social Media Management. 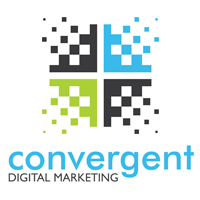 At Convergent Digital Marketing we build custom online marketing strategies and solutions for businesses small to large. A new vertical within the Charleston Newspapers family, we offer all the power that digital marketing has to offer with the strength and stability of the newspapers themselves.